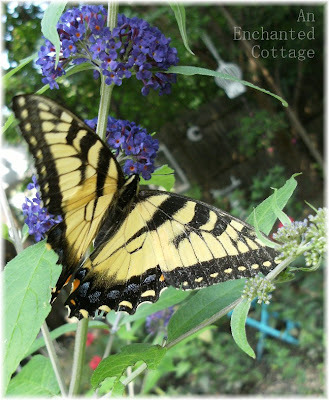 Mmmm, butterfly bush is much easier to remember than Buddlea! I have a yellow one, it is huge and just about to breakout into flower, I love it! Though I planted it under the electricity wires, so the men have to come and cut it back every few months! I hope they wait till it finishes flowering! 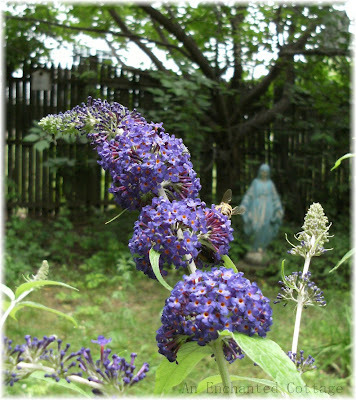 I really like buddleia, though it grows like a weed here! 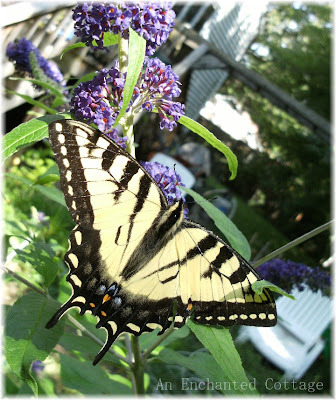 The one in our garden grows like wildfire but the butterflies and bees love it :) Yours is really pretty! 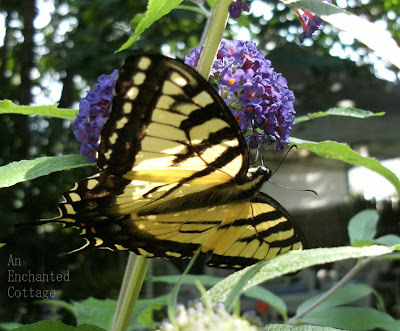 I love the butterfly bushes and have had a couple through the years! Now you've inspired me to plant a few for next season! Great pics! Thanks for sharing! 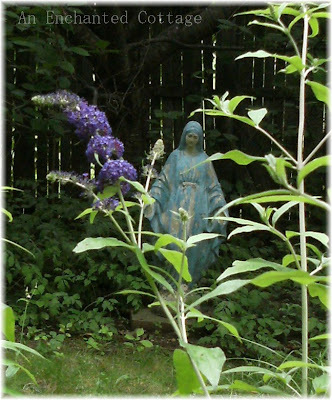 Have a butterfly bush also, but mine is almost done blooming since I am much further south than you. 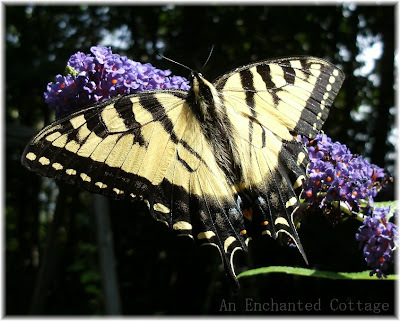 Your photos certainly explain the reason for the name 'butterfly bush' now don't they.... lovely! 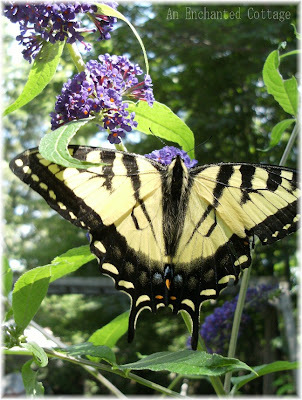 Your butterfly bush is beautiful, Donna! 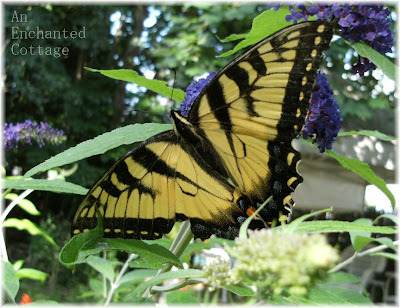 You really got some wonderful pictures of the swallowtails. They are so beautiful, aren't they? 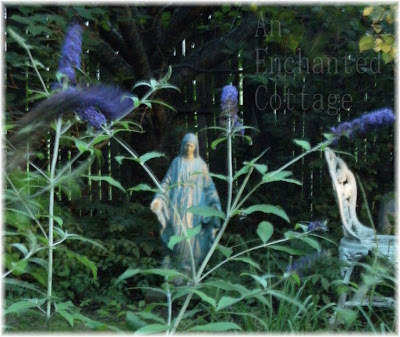 I took some photos of one who stayed for the longest time on my coneflowers last summer. So glad you got some sun! Is it humid there? It is here. 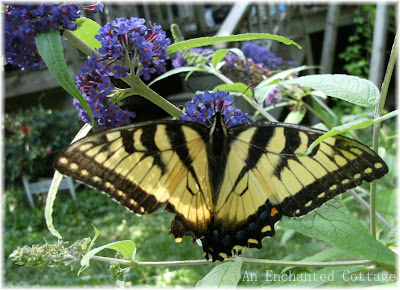 Love the butterfly bush and pretty butterfly that came for a visit! 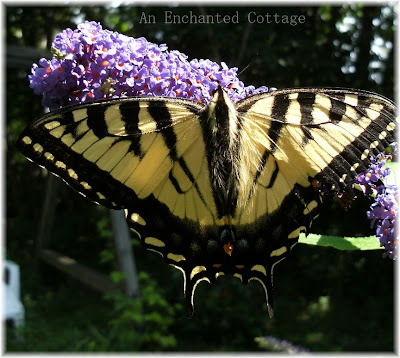 They really do attract butterflies! 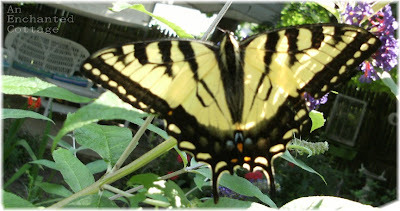 Great shots of the butterflies! We just moved into our house and I've been working on creating gardens that will attract birds and butterflies. 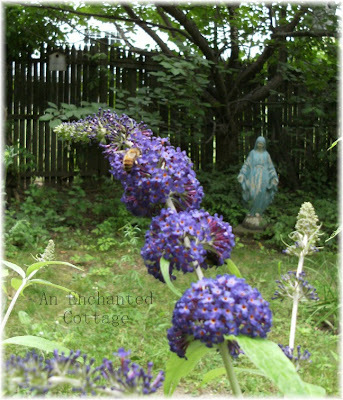 I have not seen gorgeous butterfly bush blooms this summer. Mine was doing nicely, then the massive Texas heat wave hit and pretty much knocked the socks off everything I had. Only the black-eyed susans and cone flower have managed to bloom this late. The photos are gorgeous! 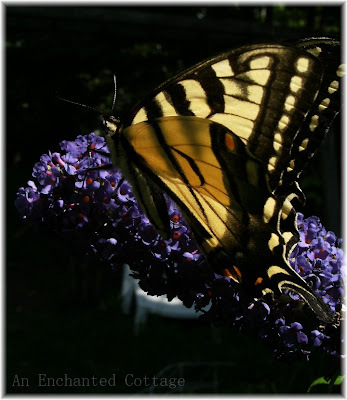 Beautiful photographs of the Butterfly Bush and the Butterfly. Wow so pretty! That butterfly is HUGE omgsh like a bird! LOL. I've got my eye on your beautiful birdhouse! Never seen a lilac monada plant..I always had the red ones at my former home. 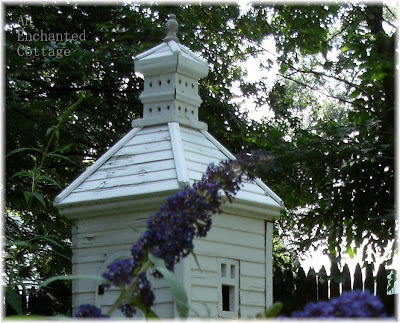 Do you mind sharing where you purchased your birdhouse. Love it!